You’ll find some incredibly useful Instagram tools listed in a previous post here. While Storrito isn’t mentioned in that list, it’s still a super tool we need to cover. Long story short, you can take your Instagram stories to a whole new level using something like Storrito. Storrito is a desktop application with numerous features for creating Instagram Stories. It’s dedicated specifically to the Instagram Stories feature. This is definitely something that the entire Instagram tool arsenal needs. Now, we know what you may be thinking – when did creating Stories get so complex? Tools such as Storrito are there just to make it even easier to create better Stories. It’ll help save you time while doing it! Considering that Instagram Stories have become the most powerful feature for boosting engagement and count 500 million daily active users worldwide…it’s easy to see why marketers and influencers are going to shift their focus to their Stories strategy in 2019. Now, let’s dive into the Storrito features and see how the app helps solve certain problems and simplifies Insta Stories. First and foremost, Storrito makes it possible to create and post Stories from desktop. This is an especially valuable feature for those who are serious about their Instagram marketing and would rather not fumble on a phone when crafting content that’s supposed to wow their audience. Additionally, the Storrito editor is constantly expanding its features, so animation and GIF support are coming soon. When you upload an image to the Storrito editor, it automatically crops it to fit the aspect ratio of Instagram Stories. You have a neat canvas to work with freely as the editor displays an overlay so that you can arrange your post just how you want it to be. 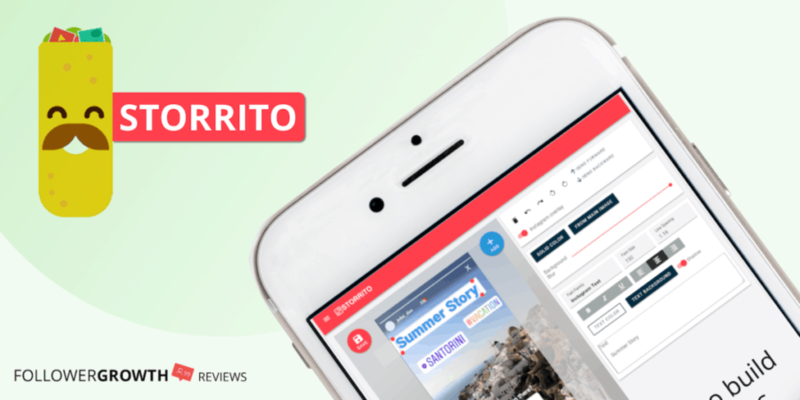 What makes Storrito an absolute lifesaver for Instagram marketers and a winner among Stories tools? It gives users the option to post the Stories they create on desktop immediately to Instagram, or to schedule them for posting later. Now, this is huge for marketers who want to ensure maximum engagement on Instagram by posting Stories frequently and at the right time. It’s a major time saver – and it makes content management all the more effortless and organized. Scheduling and auto-posting is especially useful for Stories that need to announce limited time offers and discounts on specific dates, Stories that announce product launches, and for keeping your Stories content running during your free time. With your Stories prepared in advance and scheduled for auto-posting, you can rest easy throughout the day knowing that Storrito has got it taken care of. There’s even a bulk scheduling feature and a schedule calendar in Beta mode. The auto-posting feature is available to all accounts (not only business accounts). It can be used both for images and video content. Once you select the publishing date and time, that’s it – Storrito won’t bother you with smartphone notifications to confirm before posting. When you don’t have a desirable image to feature in your Stories, the Storrito editor enables you to upload a stock photo directly from Unsplash and use it for your Story. This is especially useful when you want to post an announcement, for example, and don’t have a catchy image to accompany it. You just search for your keyword in the editor and choose a fitting image, which certainly saves plenty of time. No worries, Storrito didn’t leave videos out of the picture. After all, videos are such a huge part of Stories. They’re a gold mine for building a relationship with your audience. You can upload video content to your PC and schedule it for auto-posting it or post it immediately, as with images. Storrito also features a cutting tool to automatically cut up your content into the 15-second snippet format supported by Instagram. This is an extremely useful feature to help you craft meaningful and engaging video content that integrates into the Stories format seamlessly. You can really create an immersive experience for your audience. We love this feature! Storrito allows multiple users to share a single account. This is great news for marketers and social media marketing teams, who can collaborate on the Stories content schedule. Not only that, but Storrito allows you to connect multiple Instagram accounts. So, if there’s a need, multiple teams can work together on different accounts and create Stories together. Once again, that’s a really useful feature for professional social media marketing teams. This concludes our Storrito overview. All in all, it’s a great app and it’s only getting better. We’ve pointed out in this post how and why this app saves time for Instagram marketers. It helps marketers create better Stories, and helps boost their Instagram marketing efforts. It’s safe to say that the app is not necessarily reserved for marketers only. Brands, influencers, and agencies should be using this tool as well. Or anyone just looking to have loads of fun editing Stories on desktop! The free plan also supports up to 10 posts per month. There’s no credit card required, so go ahead and give Storrito a try now. Hope this helps you take your Instagram story game to the next level!